storm in five days left 56 inches of fresh snow on Squaw Valley USA. 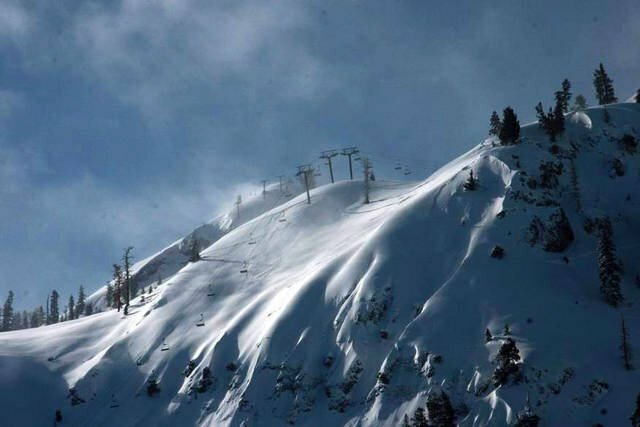 light, delicious powder to Squaw Valley’s slopes. additional 5 FEET of snow. 112-146” inches on the upper elevations. download from http://www.skiclub.co.uk and iTunes. snow information on the internet. Resort, South Lake Tahoe, Calif./Nev. additional entrance gates into the expert area of Killebrew Canyon. a break in the storm system predicted to continue through next Tuesday. recorded its biggest day in the 51-year history of the resort. calling (802) 228-1600 or by visiting okemo.com.